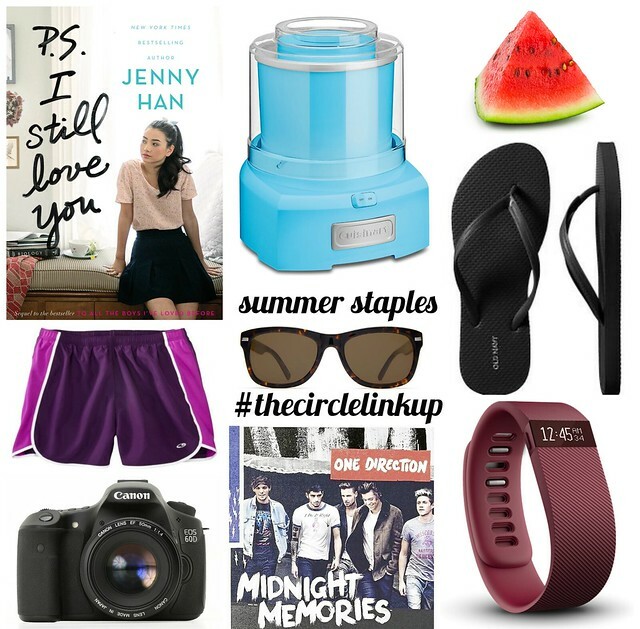 THE CIRCLE JUNE 2015 | SUMMER STAPLES. Happy June, friends! It's another month to welcome in new adventures, a new season, and another edition of The Circle! My co-host for the month and I are excited to dive into each of your posts and see just what your summertime staples are. Hello friends, I'm Cassie and I blog over on my Cloud Nine where I love to share all the many things that fill my life. That usually includes my faith in Jesus Christ, lovey stuff about my sweet husband and the new adventure of becoming a Mom!! Isn't Cassie simply the best? Don't forget to head over to her blog and see what her Summer Staples are, too! My Summer Staples are all about enjoying, adventuring, and savoring each moment, basically my version of a summer survival guide. For some reason, I've been all over the word "savor" for the summer and I know that there's a reason why. Summers slip through my hands all too quickly and I want to make sure I make the most of each moment I've got before it's gone. So what will I need this summer? +YA fiction to read late into the night. +An ice cream maker to cool off on those hot August nights. +Watermelon and all the fresh fruit that's in season. +Flip-flops for my annual flip-flop tans. +Running shorts for running and well, lounging. +My camera to carry around wherever I go. +Music for roadtrips, morning runs, and car rides with my sisters (and yes, I listen to One Direction, don't judge). +A fitbit to track my steps and see how far I travel this summer! What are YOUR Summer Staples? If you'd like to share (which I hope you do/will! 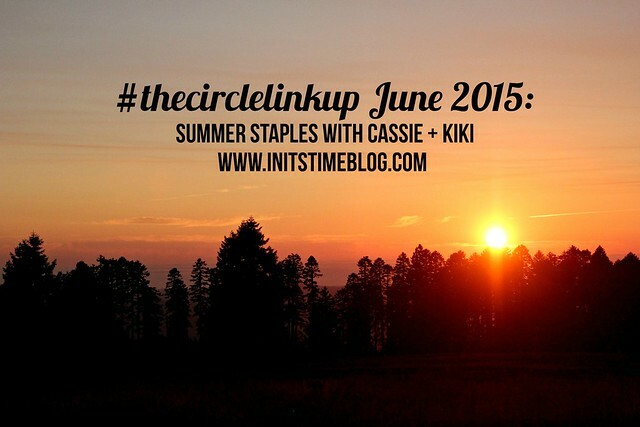 ), grab a button, add your link below and share your post with the hashtag #thecirclelinkup! 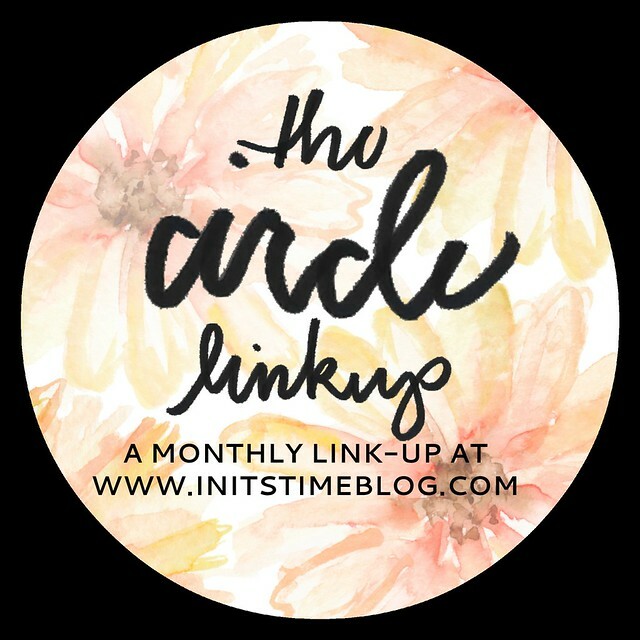 The next link-up will be a month from now on Wednesday, July 15th and we'll be sharing about ourselves with a Blogger Introductions post! 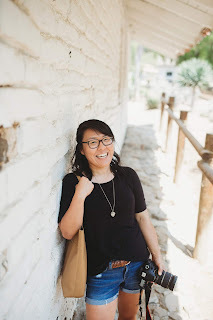 Whether you just started blogging or have been blogging for years, I want to meet each and every one of you! Tell us something about yourself, why you blog, and what your blog's about. As a little tip, keep it short-er and sweet-er. I've learned (the hard way) that these kinds of posts are the ones that are most-read. I can't wait to get to know you, friend! These are the perfect things for savoring your summer! I've read that book, and it was a fun one! Also, YES to the ice cream maker! I've got to bust mine out soon and get to ice cream making!! This was another fun one, can't wait to see everyone's essentials! My cuisinart ice cream maker has already been put to good use more than once this summer. Awesome invention! I have been going to town on watermelon recently. Love it! Ooh an ice cream maker, what a great idea for summer must haves! I reallllly want an ice cream maker! i have a frozen yogurt maker...I wonder if I can make ice cream in it. I will have to find out! I love all of your summer survival items! I've never heard of that book. I'm going to look it up! Excited about next month's prompt! Man, I'm starting to want a FitBit. I feel like I'm seeing them (and good recommendations for them!) everywhere lately. I'd love to get an ice cream maker but there's just no way I can cram another appliance in my kitchen right now! I think our lists would be pretty similar! :) I'm living in those shorts this summer! How are you liking the FitBit?? I love that an ice cream maker made you list because it’s the best idea! I never would have thought to include one and am almost second guessing my list! I love that you have a fitbit. I have one and just recently began using it more consistently myself to track my steps. Can’t wait for next month’s linkup! Did you like the second book? I've only read the first one in the series and am excited to see what's in store for the sequel. And FitBits are so much fun, right? I was totally skeptical of it at first, but now I'm hooked! p.s. I am SOOOO excited for next month's topic, too. It's going to be such a fun one! And the FitBit is fun! Do you have one? I was totally skeptical at first because they can be spendy and sometimes the things that are trendy aren't really worth the hype, you know? But it's a lot of fun actually! And I cannot wait for next month, either! It's going to be SO much fun to get to know everyone again! Athletic running shorts are THE BEST for summer. I could wear them every day if I had enough pairs! FitBits can be pricey, but they're oddly addicting and fun. Mine actually broke (womp, womp) but I'm hoping the warranty will work so I can either get it replaced or fixed. Me, too. It's the best summer snack, right? It really is! I looooove making my own ice cream in the summer! Same! FitBits are so much fun. :) And that book is the second in the series, but it was a fun summer read for sure! It's been so long since I've made ice cream... I remember a few years ago though I made some with toasted marshmallows--I toasted them in the oven and then put them in a blender with the ice cream base... it was so good! And I didn't realize there was a series, either! I read the first one (PS I Still Love You) and then noticed she was releasing the second one a week after I finished that first book! So glad I remembered to add my link to this link-up! I missed last month. Can't wait to see what everyone else chose for their essentials! I also am looking forward to 'meeting' everyone next month! I'm glad you got to link-up this month, too! I'm excited to see what's on your post (thanks for linking up, by the way!) and I cannot wait to read your post in July, too! Wow, those both sound awesome! I want to say that the Yonanas sounds like something I've heard of before, but I'll have to check both of them out. Thanks for letting me know!